Dental Implants: Here at the Smile Design Studio, we proudly offer a wide range of services designed to help patients with missing or damaged teeth get brand new, healthy smiles. Our team has decades of combined experience providing dental implants, bridges, and implant-supported dentures to patients across the Perth area. Porcelain Veneers: Many of you want to have a great, winning smile. Some of you may have gaps in your teeth, or chipped, discoloured, and even worn teeth. Super-thin porcelain veneers from Smile Design Studio provide a comfortable, great-looking solution to these problems. Teeth Whitening: Whitening is a process where the tooth discolouration is ‘whitened’ to a lighter shade. It is a safe procedure when carried out under professional supervision in our clinic. Treatment of headaches and TMJ: Temporomandibular Joint Disorder also known as TMJ, means that the hinge connecting the upper and lower parts of your jaw is not working properly. This hinge is one of the most complex joints in the body, responsible for moving the lower jaw down, forward, backward and side-to-side. Sedation / Sleep dentistry is suitable for people with a high level of dental anxiety or phobia to ensure your comfort. You are relaxed and even fall asleep while our talented dental team works on restoring your smile. Get on to State Route 5 (Stirling Hwy) and over the Fremantle Traffic Bridge for about 4km. Serving as the Port of Perth, Fremantle is located at the mouth of the Swan River. Founded in 1829, and named after Charles Fremantle, a Captain in the English Navy, it was declared as a city in 1929. It lies on several limestone hills known as Booyeembara. Gardoo is a sand plain to the east. The area was considered as a site for possible British settlement in 182o’s. The city has a number of historical buildings. See below for things to see and do in Fremantle. Esplanade Park is a public reserve featuring about 100 mature Norfolk Island Pines and the Explorers’ Monument. Strelitz Buildings (near Mouat Street and Croke Street), were built in 1897 and as of 1994, they were permanently listed on the Western Australian State Heritage Register. Commissariat Buildings (near Dalgety Street and Cliff Street) are two buildings in the West End were one of the first sites built using convict labour in the Swan River colony. The McDonald Smith Building (near Cliff Street and High Street) dates from the gold rush boom in the late nineteenth and early twentieth centuries. Fowler’s Warehouse (near Pakenham Street and Bannister Street) was constructed in 1900 as the principal premises in Western Australia for D. & J. Fowler Ltd..
Owston’s Buildings (near High Street and Mouat Street) is a historic building constructed in Fremantle during the gold boom in the late nineteenth and early twentieth centuries. 7 High Street, Fremantle (near Cliff Street and High Street) was constructed for the Bank of New South Wales in 1899. Fremantle Trades Hall (near Collie Street and Pakenham Street) is a two storey former trade union hall in that was opened in in 1904. 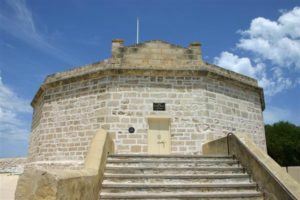 The Round House, the oldest remaining intact building in Western Australia, was originally built as a jail. Popular live music venues include the Fly by Night Club. The annual Fremantle Sardine Festival on Esplanade Park attracts heaps of seafood lovers. East Fremantle is 3 km to the north-east. Palmyra is 4 km to the east. Bicton is 4 km to the north-east. Mosman Park is 6 km to the north. Spearwood is 6 km to the south-east. Attadale is 6 km to the north-east. Kardinya is 6 km to the east. Winthrop is 8 km to the east. Bibra Lake is 8 km to the south-east. Booragoon is 8 km to the east. Claremont is 9 km to the north-east. Applecross is 9 km to the north-east. Yangebup is 9 km to the south-east. Mount Pleasant is 10 km to the east. Beeliar is 10 km to the south-east. South Lake is 10 km to the south-east. Como is 13 km to the north-east.